Weight Lifting belts 2019 are a necessity in the gym for body fitness. They are essential in various gym activities such as squatting, weight-lifting, power-lifting and many other exercises that require pushing directly against gravity. Whether you are an Olympic powerlifting competitor or just an amateur, new in the business of bodybuilding, you need a sturdy and durable weight-lifting belt to ensure improved performance and safety during lifting activities. Here are some Best quality weight lifting belts in the market for you to buy quickly, to read their detailed reviews before buying scroll down below. What do weight Lifting Belts do? Performance: When pushing against a resistance, the pressure generated by the abdominal muscles generates more power and increases output. What weight lifting belts do is to augment this ability by giving the abdominal muscles a resisting surface to contract against generating yet more power and output than ordinarily pushing against the abdominal wall. 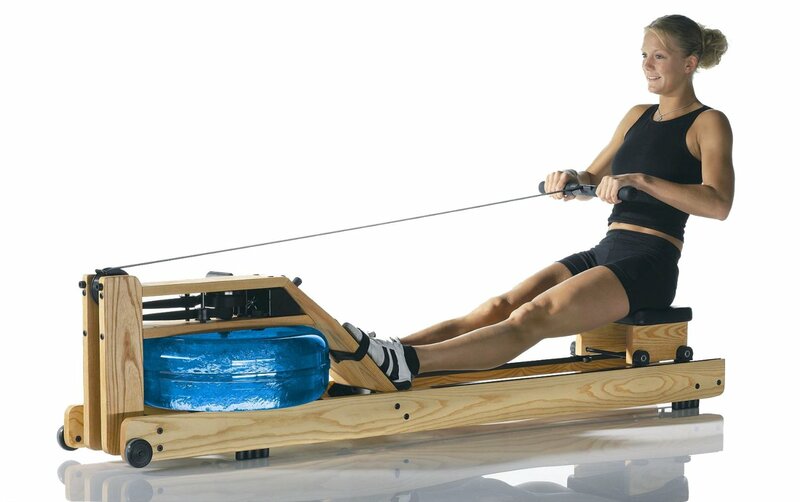 Support: A weight-lifting belts provide support for the spine at the lumbar region and reduces the strain on it by giving it more stability, the athlete overall gets a great, sturdy posture which enables him to make heavier lifts while avoiding injury to the or strain on the muscles of the lower back. The belt’s usage is often mistaken. The major purpose of the belt is for increased performance and support and protection is only a complementary and secondary function. How should weightlifting belts be worn? Weight-lifting belts are to be worn below the thorax, over the umbilicus (navel). The properties of the belts cannot be utilized if it is not properly worn and one will miss out on its benefits. Weight-lifting belts are designed to be worn in between the lower thoracic cage and the superior pelvic girdle, this is where it is most effective to generate adequate intra-abdominal pressure and provide sufficient lumbar support to the spine. Also, when choosing a belt size, you should measure this area and not your pant size as it is meant to be worn slightly above the waist, over the navel. Material: The material with which the belt is made out of is of vital importance. The material determines not only its durability but also its resilience as well as how much comfortable it will fit on the waist. Several materials are often used to build weight-lifting belts, each with its own unique quality. Leather is often employed in the production of these belts and that is not a random selection. Leather contains a lot of qualities that make it suitable to be used as not just regular belts but also as weight-lifting belts. Full grain leather is sturdy, durable and resilient, withstanding strain without stretching or breaking while supporting the spine. Genuine leather belts are often more expensive than other materials but is well worth the price as it will last for a long while. Leather belts, however, are usually delivered stiff and require a “breaking-in” period which makes it more comfortable and flexible to use and this is achieved with continuous use, but within this period, the belt might be very uncomfortable and might bite into the skin and underlying structures, causing bruises. Sometimes, Suede leather is often used in place of full-grain leather, while not as durable; the suede leather is more skin friendly and doesn’t require breaking-in as its counterpart. Often, more quality and expensive belts usually line the surface of the full grain leather with suede or a more friendly material to prevent injury. Other materials can also be used for making the belts, but none as durable as genuine leather, an example of that is artificial leather, which is not quite as stiff as the ones made from animal hide and will get the job done but it’s not quite as long-lasting. Other fabric materials are also used for weight-lifting belts but they just aren’t strong and tough enough and always carry the risk of being broken during use as they are not optimized for heavy lifting. Dimension: The dimensions of the belt as just as important for its effectiveness and most power-lifting federations have set standards, usually 4 inches in width and 10-13 mm thickness. Often the thicker the belt the more pressure it will help generate and more support that can be gotten out of it. The width and the thickness are often preferred to be even all around the belt to provide optimal support for the lumbar vertebra from the intra-abdominal pressure generated. The width will fit comfortably on the waist without brushing against the thoracic cage. Some belts are designed with contours, with the back end wider than the front and sides, these kinds of belt might support the back but are not effective for powerlifting activities and do not maximize the physiological benefits of a properly even belt. Fastener: The fastener secures the belt in place and holds it firmly against the abdominal wall. The quality to look out for in any fastening system is its stability, convenience, and efficiency. Several such systems exist, each with peculiar features and benefits. Velcro straps have been used for fasteners. While the fabric is easy to strap in and pull off, it is not very sturdy and will break easily under increased pressure and strain. 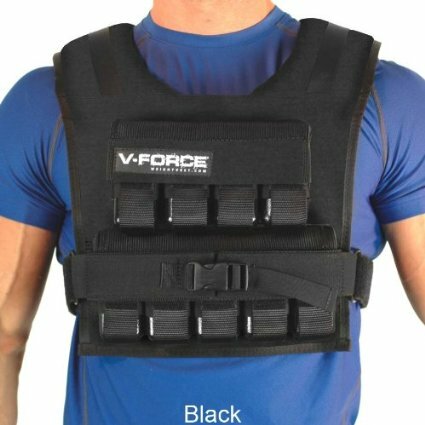 Velcro straps are often used in non-leather belts where they provide an easily adjustable fastener that secures the belt in place; however, they are not suitable for powerlifting as it starts to give in and strain under heavy weight and pressure. Roller buckles with Prongs: This system is often made from metal and its efficiency is very dependent on which kind of metal is used in its production. High-quality metal such as stainless steel will not bend or give in under pressure, providing a reliable and durable system that secures the belt in place. The prong (s) is hooked into carved out spherical holes in the leather; this mechanism makes it easy to adjust to fit optimally on the waist. Most belts feature a double-prong buckle which is perceived to be sturdier and more balanced but can be inconvenient to buckle, especially if the belt is to be worn tightly. Single prong buckles do the job just as well without the extra hassle of securing the second belt. The roller buckle should be thick and strong to provide a tough, stable and secure support and is often made use of in many belts. Levers are very easy to slip in and out of, with just a flick, the belt is secured and with another, it is unlocked. Made of durable metals, the lever system is the easiest to strap while still providing a sturdy hold and securing the belt in place during use. The lever requires being manually fitness to the user’s size. Also, there have been complains of levers breaking, so if you are going for the lever system, choose a quality one. A couple of the more weight lifting belts have been reviewed here with a wide range of abilities with peculiar features, pros and cons highlighted to help you make the best decision. This is a gem of a belt! Coming at a relatively convenient price, this jewel from Profitness is all you need to ensure an optimal weightlifting output while protecting your back from strain and injury. Made of genuine full-grain leather, the highly durable belt is designed and optimized to withstand strain and pressure, generating enough pressure in your core to bolster your lifting output and support your back during lifts without breaking or tearing. 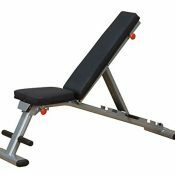 It comes in the optimal width of 4 inches, which is perfect for the average user, fitting comfortably between the inferior thoracic cage and the superior pelvic girdle to provide the optimum support that your lumbar vertebra needs, while aiding you to max out your lifting ability and overcome your weight limits. 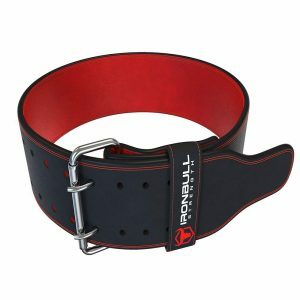 But the Profitness belt is not just function and durability, it comes in a sleek black and red/white color design, giving that professional and macho look to your gym outfit. It comes in three lengths of small, medium and large sizes, so you can choose that which fits you most comfortably. It comes in the most convenient width of 4 inches which is both the optimum width for comfort and performance. Although the Inzer belt might be a bit more expensive than its counterparts, it is well worth its price. 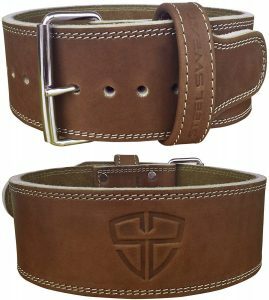 Made out of genuine fine leather, 10mm thick – which is the standard thickness – the belt according to its name is designed to last forever, maybe that’s a reach but it will definitely not crack under pressure. It is finished with high quality suede leather which provides a non-slip surface which adheres firmly to your body preventing it from slipping from the required position. With a patented lever fastener which makes it super easy to buckle and unbuckle. Although the lever might take a bit of an effort to set-up the first time after its purchase, it becomes a very supportive feature with which you can buckle and unbuckle the belt with just a flick. The belt is also quite heavy and stiff at first use and may require broken in but this exact properties makes it sturdy and stable to use. A low end belt that comes with everything you need in a weight-lifting belt, well, almost everything. Coming in a lustrous, leathery black colour with red stitching, the belt is made out of cow-hide and promises to be durable. It will withstand the strain and would not stretch under pressure while still delivering effective back support and producing the extra intra-abdominal strength needed to exceed your power lifting boundaries. Although it is only 5mm thick and might not be as sturdy as others, the dark iron fitness belt is light to use and will provide adequate support to the lumbar vertebra and the core muscles. It is secured with a stable double-prong metal buckle which keeps the belt fastened to the abdomen. In summary, it is a light, durable, sleek and efficient belt with 4 inches standard width. It comes in up to 5 different sizes from x-small (23-31 inches) to x-large (41-49 inches), so you can choose that which best fits your waist. It is 4 inches wide, optimized for comfort. 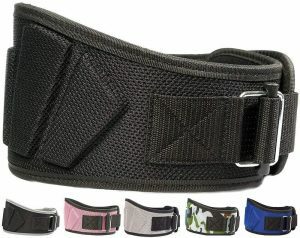 The fire team weight lifting belt is a unique belt that is highly stylish with an easily adjustable Velcro fastener that is comfortable to be used by both males and females. It is extremely light and comfortable with a sleek sporty look made of durable fabric. While not the ideal belt for heavy lifting or Olympic lifts because of the uneven width which causes a drop in the balance between support and pressure generation, disrupting its benefit in heavy lifting as well as its fastener which can easily give out under heavy pressure, it is optimal for lightweights and back support activities. It comes in a number of different sport designs with wider ends and narrow sides to minimize discomfort and rubbing against the rib cage. It also comes in a variety of sizes and fairly cost effective for its qualities. Because of the uneven width, the design is not optimized to effectively support the back and increase pressure in the core simultaneously, causing a lack of balance. It is not as effective in heavy power lifts or Olympic lifts. 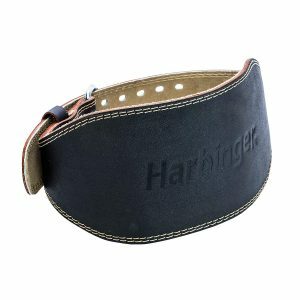 The harbinger belt is made from leather, constructed in a contoured fashion to increase the width of the back and provide extra support. The manufacturer takes it up a notch, including the interior foam cushioning for increased support and comfort. The best is maximized to support both the lumbar and the core muscles but lacks the balance to generate enough intra abdominal pressure to increase lifting capacity. The padding also adds to its thickness posteriorly which is not effective for powerlifting or any heavylifting for that matter. If you need a good support for your back during gym activities, this is the belt for you but it is not ideal for heavy power lifting. It has a double stitched suede lining that adheres to the waist while supporting your core and back. The double stitch also contributes to its durability. It has a double prong roller buckle for increased support. Optimized for lumbar support and generation of adequate power in the abdominal core, the iron bull strength belt is another recommended weight lifting belt. The belt from iron bull is made out of quality suede leather, with a fashionable black outer face and a red interior lined with red stitching, the belt is a fine blend of quality and beauty. It has a double prong roller metallic buckle which secures the belt in place. It is 4 inches wide all round which will fit comfortably on the waist while drawing up maximum power from abdominal muscles while supporting the back and its lumbar vertebra. It is of standard 10 mm thickness all-round of durable suede that won’t bite into the skin. It is available in a variety of sizes, up to 5 different sizes, of varying length. 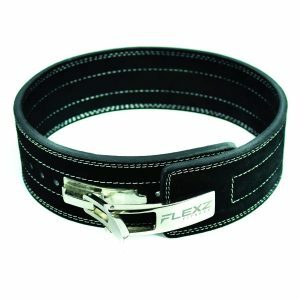 With a heavy duty metal buckle rather than the conventional pronged belts, the flex fitness belt is designed to be functionally safe. It is 10 mm thick all round with a width of 4 inches, compliant with USAPL standards, hence can be used professionally in weight lifting competitions. The buckle may be a little difficult to get in place during the first use but it becomes very efficient and simple to hook and unbuckle after repeated use. 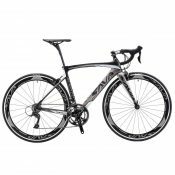 It is made from artificial leather which has been tested to be durable, accommodating extreme strain without stretching or breaking. The dimensions ensure adequate support and protection to the spine and the back, and the quality ensures the generation of adequate strength in the abdominals. It comes in a number of colours variant, the artificial leather is decorated with a tough double stitch on both sides to ensure its quality. Although it might be a bit costly, its quality is certified. 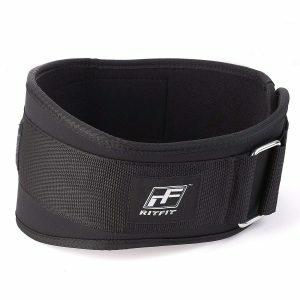 At first glance the Ritfit belt appears ordinary and weak because of the fabric material it is made of; well this is a false impression as it in fact holds up during lifting activities. Affordable and simple to use, the belt is suitable for both sexes. Optimized for lumbar support rather weight lifting, the belt reaches up to 6 inches in width, with a waterproof internal foam core that caresses the sides while providing increased support for the back and the spine. It can be easily adjusted to fit and it ends in a Velcro strap which can be easily fastened or removed. It provides both a tough, firm and comfortable support for the back and abdominal muscles. It can be easily hand washed as well as the fabric might absorb and accumulate dirt and sweat. It is available in varying sizes. Without emptying out your pockets, Ader power lifting weight belts promises to deliver quality and professional properties that will aid you to reach that power lifting goal while supporting your back and preventing injury. 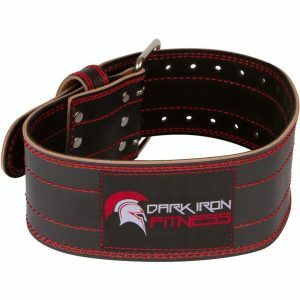 Made of high caliber leather, the belt is adequately designed to convenient and durable. It features a closure system with a double-prong seamless roller buckle that will keep the belt in place while in use, making it sturdy and empowering it with the balance needed to be functional. It comes in an all black fashion, with white seams lining its edges. A number of users have complained of its stiffness which might require breaking in and may be uncomfortable with the first few sessions of usage, but when it has become adjusted, it is a lasting and convenient belt well worth its price. The steal sweat weight lifting belt is an awesome belt from an awesome producer, with an awesome customer service. A unique belt made of top quality leather, produced with a special technique known as the vegetable tanning technique that makes it more durable and reduces the time it takes for the leather to break in. Compliant in all dimensions, measuring 10 mm in thickness and 4 inches in width, the steal sweat weight lifting belt is equipped to last a lifetime. It is durable and efficient, providing substantial lumbar support for the back and preventing the spine from injury. It features a stainless steel metal buckle with a stable, single prong system of roller buckle. Its interior is lined with fine suede leather which reduces friction between the belt and skin and underlying structures, preventing scratches or bruises from the belt digging into the skin. The belt is well worth the investment at a reasonably affordable price, an average of most belts in the market. 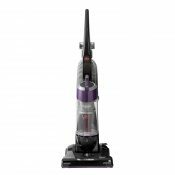 It is suitable for use by both men and women and comes in a number of different sizes. They help to prevent hernias and tissue displacement which are more likely to occur in the abdominal region during these strenuous activities. WHAT DOES A WEIGHT LIFTING BELT DO? Weight lifting belts are used basically to improve performance while in body building or power lifting activities. It works by supporting the core through an increase in intra-abdominal pressure, conveying an increased stability to the spine and enabling it to efficiently gather more strength for use in the lift. HOW DO I KNOW THE MY BELT SIZE? Often, users have had to return ordered belts because they ordered a wrong fit usually too tight. This is likely to occur because they didn’t measure themselves properly often mistaking their pant size as the same size as the weight-lifting belt size. Weight lifting belts are to be worn slightly above the waist in the lower lumbar region of the body where it can effectively support the spine; hence the measurement should take place here. Put your measuring tape around your waist over your navel and measure this region to get a precise measurement. 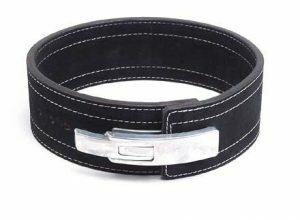 WOULD WEARING A WEIGHT LIFTING BELT AFFECT MY CORE MUSCLES? A common fear amongst body builders is that these belts will reduce the strength and weaken their abdominal muscles after continuous use. This is only a mere speculation and no evidence supports it, if anything, weight lifting belts increases the rigidity of the core muscles. WHEN DO I NEED TO USE A WEIGHT LIFTING BELT? You need a weight-lifting belt whenever you are performing activities that involve directly pushing against gravity and you wish to generate more power. A weight lifting belt will provide your abdominal muscles with firm surface to squeeze, this stabilizes the spines, garnering more support and generating more power. WHAT SHOULD I LOOK FOR IN A BELT? A detailed section in this article has been directed to answer this question. In summary you should look out for the material the belt is made of, the fastening system that secures the belt as well as its dimensions. Kindly read the “Buying Guide” section to get a wider view. SHOULD I BE WEARING A BELT? If your goal is to improve your weight lifting performance and reduce the risk of damage to your spinal column then absolutely, a weight lifting belt is for you. However, stop using it if you find out that it hinders your movement. Also, people with hernias or delicate heart diseases should not use belts and are in fact advised not to be involved in activities that are as strenuous as power lifting. 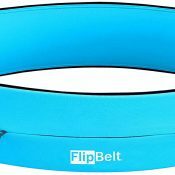 WOULD WEIGHT LIFTING BELTS HELP ME LOSE WEIGHT? Absolutely NOT! 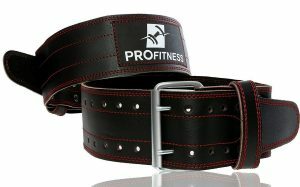 Weight lifting belts are designed to serve as an aid to increase intra abdominal pressure while improving performance.